With the best and brightest in emerging media descending on SXSW for the next five days, StoryConnect@Omnicom data intelligence has been monitoring online conversations to determine who’s winning and who’s losing, and to identify which participants and innovations are making the biggest waves in Austin. 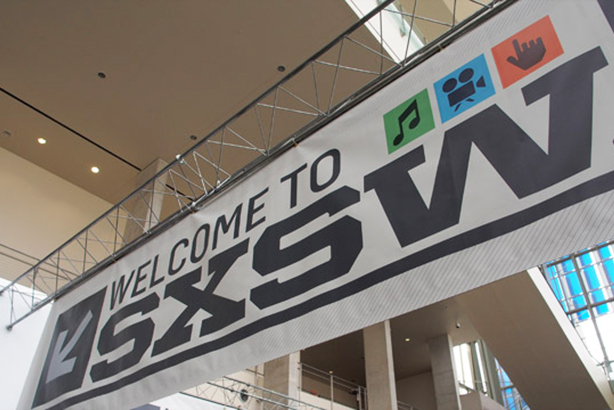 Across the river from the StoryConnect@Omnicom lounge, the SXSW Gaming expo began, bringing together brands, thought leaders and fans to talk about the future of gaming. The first of five reports, developed exclusively for Campaign, tell you what you need to know about Gaming. The winner? Clearly Game of Thrones. 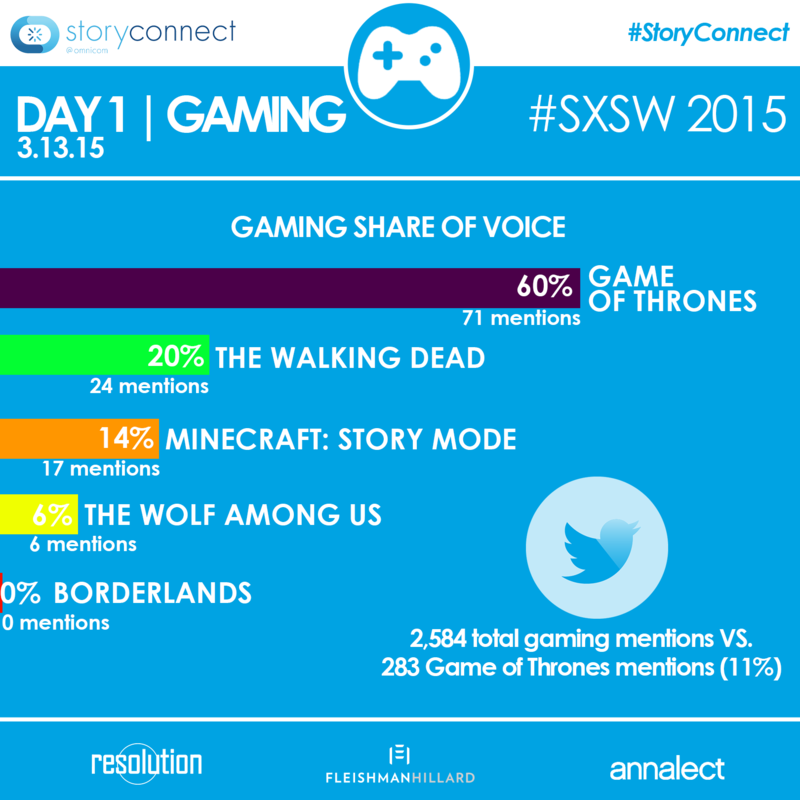 Not only did GOT game makers win share of voice on the trending #Telltale Storytelling Panel, but they scored quite a few of total gaming mentions. Mazda also came out on top, with its virtual driving experience earning them 482 mentions. The loser? Well, gaming. While its cultural importance is obvious in mainstream channels, SXSW Gaming is still trying to carve its niche. Gaming has earned 9% of the total SXSW share of voice, while music still proves to be the ultimate conversation-starter. What do you need to know? Storytelling and virtual reality are the top trends coming out of SXSW gaming. Walk around the SXSW Gaming expo and you’ll get all the gossip on who might be the next big brand to make it virtual reality. As for storytelling, brands who integrate scripted, dramatic content with gaming in a seamless way are winning — and will continue to do so.